Three decades after the 1989 Chicago Motor Show was the stage for the debut of the MX-5, Mazda has unveiled the MX-5 30th Anniversary Edition at the 2019 Chicago Motor Show. 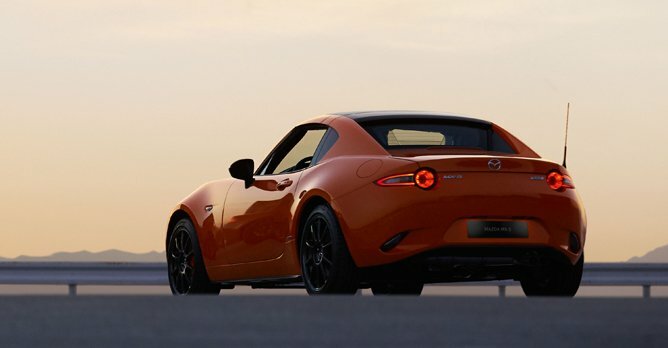 In addition to Racing Orange, the MX-5 30th Anniversary Edition features forged aluminium Rays wheels developed exclusively for the MX-5 and a 30th anniversary badge displaying the model's serial number. Other unique features include orange brake calipers, and Brembo front brakes. Sales will be limited to 3,000 units worldwide, including both soft-top and retractable hard-top models.